Does your dad like puns and alliterations? Does your dad like beer? Does your dad like sports? Does your dad like girls in roller skates? 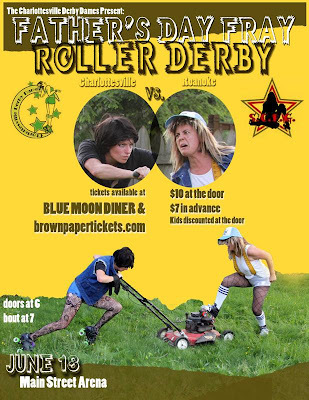 Then bring your dad to the Father's Day Fray this Saturday at MSA 6pm–9pm, where the Derby Dames take on the Star City Roller Girls. Help make this a dadgasmic event.